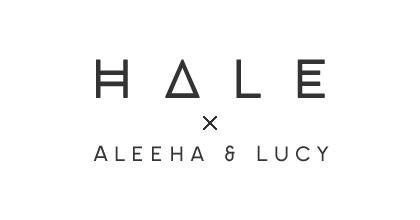 I still can't quite believe that it has already been 2 whole years since me and Lucy started this blog... time really flies, but hey I'm not going to turn this into a really emotional post! Instead, we've got something super exciting to share with you. 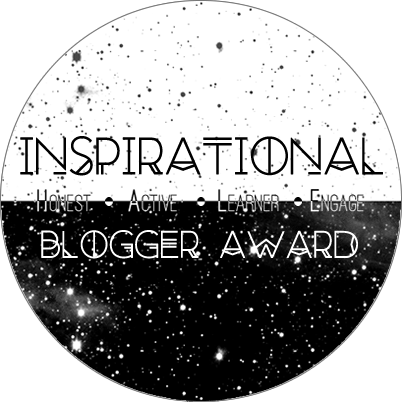 To celebrate our second blog anniversary, we've decided to create 'The Inspirational Blogger Award' tag! All will be explained in this post! We created this blog award so that every blogger who receives it knows that they have some incredible qualities that are perfect for blogging. I believe that it is important for every blogger to be honest with their readers, to be active on their blog to be a learner and always open to improving their blog and also to make sure that they engage with their audience via comments and social media. Of course though, there are many more qualities in bloggers which inspire me! I hope that you all like the idea of the blog award, we tried to make it into a more 'scrapbook style' award tag so that it would be different to most other blog awards. I'm just going to jump right into the tag and stop rambling! 1.) Thank the blogger who nominated you in your post and make sure to link their blog! 2.) Insert the blog award badge (you can right click the badge above to save it on your computer). 3.) Copy and paste/write in your own words these rules. (making sure to include photos where possible)! 1.) Share a quote to inspire other bloggers! 2) Share a photo of one of your favourite places that you have visited. What do you love about this place? I took this photo outside the Burj Khalifa in Dubai... it's one of my favourite places in the whole world! 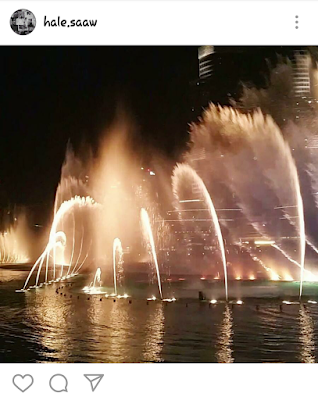 At night, when the dancing fountain show is on and the lights on the Burj Khalifa are lit, it really truly does feel magical. I still remember that feeling of awe and wonder when I was stood there... I literally remember the shivers that went down my spine. I would do anything to go back there again soon! Holly's so sweet and chatty and in her blog posts that really comes across... it's literally like she's having a one to one conversation with her readers. 4.) Share a photo of a favourite book/film. Why does this one make it into your top 5? 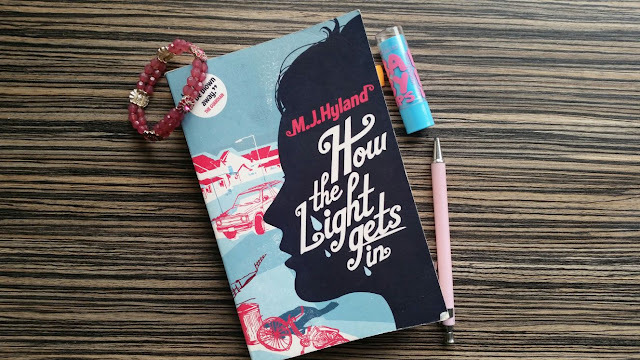 This is in my top 5 because it is such an easy read and doesn't have a crazy plot, yet I'm able to connect with the characters really well and really imagine the surroundings due to the descriptions throughout the book. It's been a while since I've read this book, but if you want a better review that I did a while ago then click here. 5.) Do you have any other hobbies or passions outside of blogging? For me, blogging is pretty much my only big interesting hobby. If you were expecting me to say something like horse riding or drawing then I'm sorry to disappoint you, haha! I guess in terms of other little hobbies, I do love to read and bake. I also love to organise things and work... do they count as hobbies? 6.) List 5 places on your travel bucket list! 7.) Share a link to one of your favourite posts on your blog. Why is it your favourite? I really enjoyed writing my '7 closet essentials' post because I've never done a post like that one before so it was really refreshing to switch things up and bring a whole new range of possible posts for the blog. It has really inspired me to become a little bit more experimental with my posts! 8.) Share a photo of one item that you love. It could be a lipstick, perfume, diary... absolutely anything! 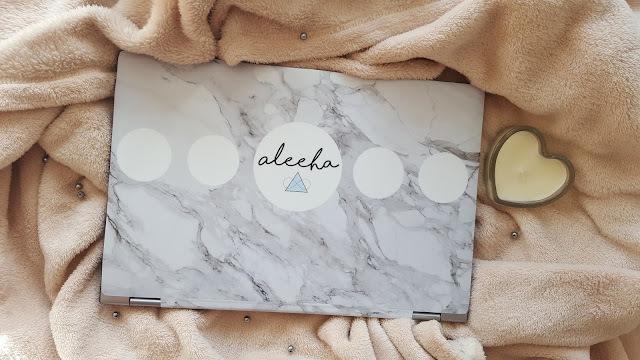 I absolutely love my laptop skin that I actually kindly got sent a while back when me and Lucy were working with a company called CaseApp. You should totally check out their website, they do some really nice cases! 9.) Share a link to an item which is currently on your wishlist. What do you love so much about this item/why do you want it? I'm just obsessed with trainers and I feel like I'm missing this particular pair of Vans from my collection. They would go with so many different outfits and I'm sure they are also really comfortable too. 10.) How long have you been blogging for? Do you want to continue blogging forever? Today marks our 2 year blog anniversary which is crazy... I never thought this would last this long! Whether we are planning on blogging forever, I'm not too sure... I have a feeling the blog might slowly come to an end once me and Lucy are in university. I would really love to continue to blog, but whether that will happen, I don't know. You'll just have to keep on reading our posts to find out! Thank you for making our first 2 years of blogging the best they could possibly have been! We wouldn't still be doing this if you weren't reading our posts... so when we say thank you, we really do mean it!